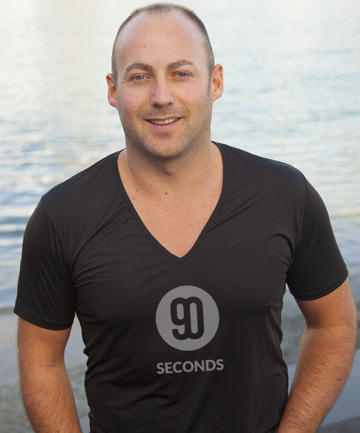 90 Seconds has created video content for firms including Ecoya. Managing 1800 freelancers in 48 countries sounds like a logistical nightmare, but big data analytics and cloud-based software have helped production firm 90 Seconds shoot videos in the most far-flung corners of the world. Launched four years ago by serial entrepreneur Tim Norton, the Auckland-based firm has produced video content in locations as far flung as Columbia, Moscow and Tel Aviv for a range of corporate clients including Barclays, PayPal, Google, ANZ and BNZ. The rapidly expanding firm has seen 100 per cent growth year-on-year, and is projecting revenue of $4.5m by the end of the current financial year. A production model based on using freelance videographers in different locations combined with in-house video editors has helped scale the business globally, Norton said. “We really focus on the video production workflow and we’ve created a platform for managing video so it can be produced anywhere in the world of a consistent quality with fast turnaround,” said the founder, who presented to fellow entrepreneurs at last month’s MORGO conference. “Our freelance [videographers] get a text message saying a shoot is on in four hours, and they are provided with a brief so all they need to do is turn up to the shoot. From there they just upload the footage to the cloud and the editors, who can be based anywhere in the world, take over. “It might be 9pm local time by the time the shooter uploads their content but it could be 4pm where the editor is, so they can download it and go away and do the edit straight away,” Norton said. The company has offices in Auckland, London, Australia, Singapore and Tokyo and employs 31 fulltime employees. Big data analytics help the company manage its work flow and keep costs down to around $2500 for a basic video. The analytics also identify freelancers who work well with the company’s production model. “We measure every single email or phone call that happens on a video project and we know exactly how long a $3500 project should take. “We have a benchmark of minutes of footage that we want to collect, and if freelancers are uploading footage which is breaking from that, then straight away we know they overshot. While the company has paid freelance videographers around $3.8m in the past four years, the system doesn’t sit comfortably with all of those who sign up. “You have freelancers who come in and use the service well… but some are really challenged by the service. Maybe they’re not such smooth operators or have come from a TV background and have different expectations. We are trying to adjust the system to work more smoothly for some of the experienced pros out there as well,” Norton said. Norton, whose previous businesses include green office design firm Airspace, business plan company PlanHQ, and budgeting tool Heaps! (acquired by Kiwibank in 2011), said he saw an opening for 90 Seconds after it took a week to get a quote back from a production company for a video for one of his former firms. Demand for video content is increasing globally, Norton said. While video advertising revenues are predicted to soar to $9b in the US by 2016, 90 Seconds is focusing on the less crowded video content creation industry. The field is rapidly growing as companies make use of search engine optimisation for video. “Google bought YouTube for a reason… Video is the content that is getting clicked online. Around 80 per cent of people will click on a play button and watch video,” Norton said. The company has two US online video competitors, Smartshoot.com, and StudioNow bought by AOL. Bootstrapped for $500,000, 90 Seconds’ investment pales by comparison to the millions raised by the American big boys. But being lean has forced 90 Seconds’ production platform to be very efficient, and this had helped win US business off its competitors, Norton said. Additional investment of $350,000 from Japan-based Kiwi entrepreneurs Tim Williams and Jonathan Hendriksen and private investment from other Japanese groups of $250,000 have help fund an office in Japan. Due to language barriers, the Japan office is the only territory with its own dedicated editing team. “Other parts of the world do much more mixing and matching with freelancers,” he said. Norton has been living out of a suitcase for the past two years, and has just spent three months setting up the Singapore office which will target New Zealand and Australian businesses based in the territory. It has a trial in place with Google. “Asia is going to grow pretty fast… We are just trying to maintain stable and healthy growth and using our tools to ensure we put out the best product to market,” Norton said.